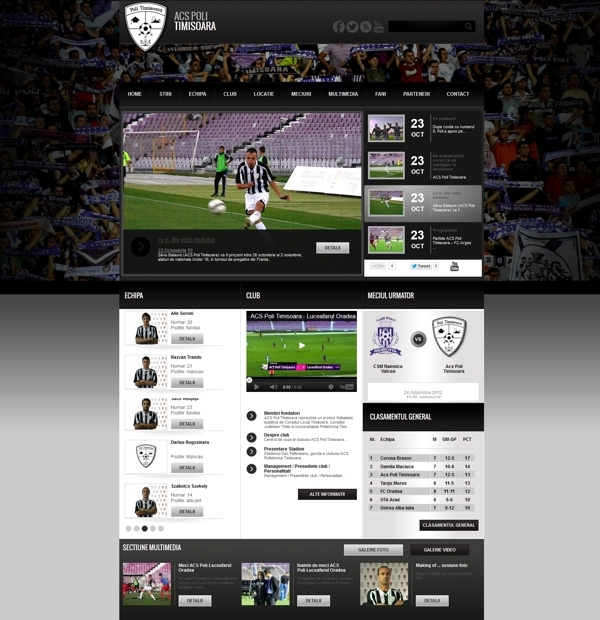 ACS Poli football team presentation website is a project supported by the Local Council of Timisoara, Timis County Council and the University Politehnica Timisoara. The presentation website for this local footbal team is friendly, easy to access and attracts attention from the first moment. The webpage presents information about the club, founding members, stadium, partners, results, rankings and others important news. The team also has a presentation page for each athlete. Next game section and general ranking are also a very important. At the bottom of the gallery users can find a newsletter subscription section.